In the grand tradition of high concept progressive rock comes an epic transmedia hybrid. A game-changing symphonic Big Bang; a genre-fusing evolutionary leap forward where cerebral science fiction meets visceral rock 'n' roll; sonic cinema meets e-book pod-lit in cyberspace. 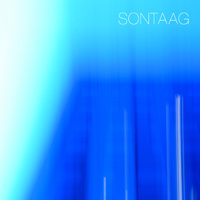 Sontaag is a cross-generic space rock grand opera: a transcontinental project fast-tracking contemporary music into a cinematic future by refusing to recognise boundaries geographic or stylistic. Imagine stratosphere-scraping Pink Floyd dynamism powered beyond the boundaries and constraints of gravity by the propulsive sonic energy of a visionary Youth production job; a Star Wars saga psychedelicized by the vivid ambient shades of an Orb sound palette. Sontaag is evolving rock for the cybernautic age and the digital environment by adapting and applying audio-visual and spoken word elements holistically, progressively… super-sonically. Voyage beyond trad-rock constraints, shame faux modernity with inclusive, multi-dimensional progression and embrace the ever-expanding horizons of cyber-sonic possibility. Welcome to the future. Our future. In the grand tradition of high concept progressive rock comes an epic cross-media hybrid where cerebral science fiction meets visceral rock 'n' roll. 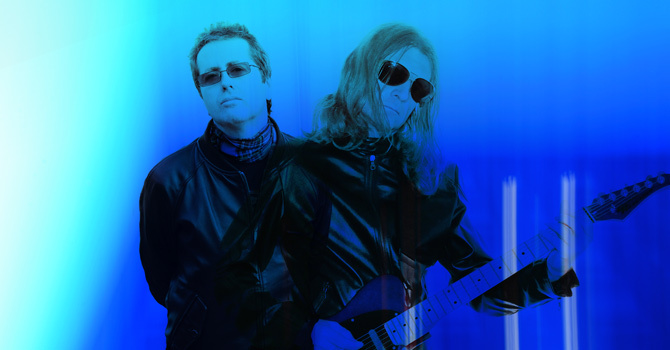 Sontaag's eponymous debut album has been described as "the rock opera that Pink Floyd never wrote", "a modern-day Tubular Bells", "a prog-rock War Of The Worlds", but no reference point or sound-bite nails its seamless combination of space rock, narrative spoken word, and evocative ambience quite as neatly as "sonic cinema". Recorded in New York City and London, co-produced and mixed by Youth for Big Life Management, 'Sontaag' is a stunning and immersive listening experience. An evolutionary progression combining cutting edge sounds with classic dynamics, adapting the rock experience for today's digital environment. Arriving in a landscape where music, books and movies often co-exist on a single handheld device, 'Sontaag' represents a seamless fusion of the finest elements of all three. Sontaag (the band) features Richard Sontaag (composition, instruments, concept, co-production), Ian Fortnam (story, lyrics, voice, concept) with Milo Venter (drums) and Amanda Cross (vocals). Become more Sontaag. When you click on a title or image, a new window will open taking you to that release at the Cherry Red Shop where you can view details and add to your shopping basket.